In my comment on the campus fossil fuel divestment campaign, I noted that divestment won’t change a thing environmentally. It will only change ownership of some shares from public institutions to private ones–like the banks we bailed out with our tax dollars. Given the money to be made on the booming fossil fuel industry, I’m sure the banks will be delighted to acquire these shares, and in turn leave the public with no voice at future shareholder meetings. Moral theatrics like this divestment campaign might make activists and students feel virtuous, but they do nothing for the environment. They bring big bucks into the coffers of NGOs like 350.org, but they do not change public policy. Nor do they influence corporate behavior, other than in public relations and marketing. I guess that’s why corporate foundations fund NGOs that promote such nonsense. 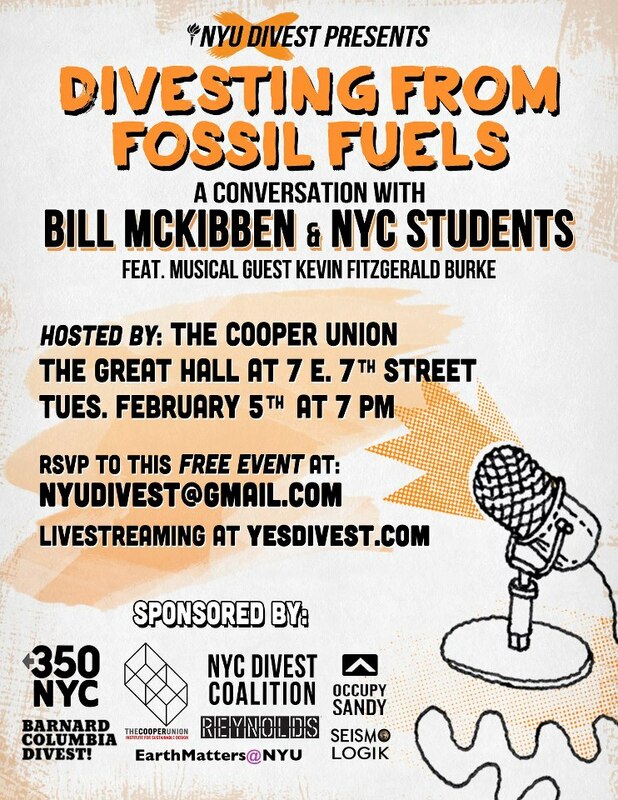 To date, students on 300 campuses across the US are organizing fossil fuel divestment campaigns. That’s a lot of wasted energy, especially when we need that energy to change the political system that awards fraud and punishes honesty. As Cory Morningstar observed in her article on 350.org’s divestment tour launched by Bill McKibben, “Such sophisticated public relations campaigns as this one are quite genius in a multitude of ways. Cloaked under the guise of tackling the root causes of the global climate crisis, such campaigns change nothing. Rather, they ensure the populace is participating in what it has been convinced is meaningful action – and nothing more.” As noted in her article, all market investing is about exploiting people and dismantling ecosystems. If students want to save the planet, they should start organizing for political power to change the market system, not rally to switch investments from one exploiting portfolio to another. Given the influence such high profile campaigns have on the naive, one might return to the simple maxim of follow the money for guidance. In the case of McKibben and 350.org, one has to ask why such capitalist titans as Rockefeller would fund an NGO that might threaten the power of the oligarchy they symbolize. As Morningstar illustrates, the answer is they don’t. +++ Brought to You by Wall Street – The Corporate Money Behind McKibben’s Divestment Tour was first published in the Counterpunch Weekend Edition May 17-19, 2013.